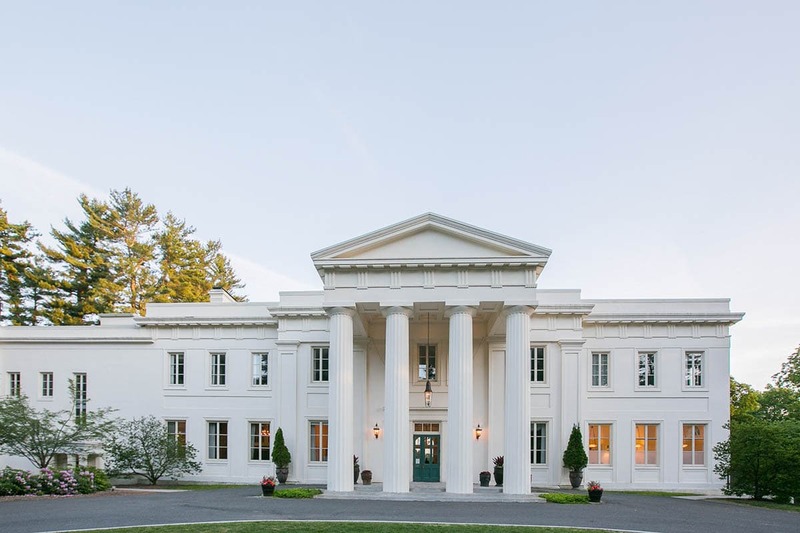 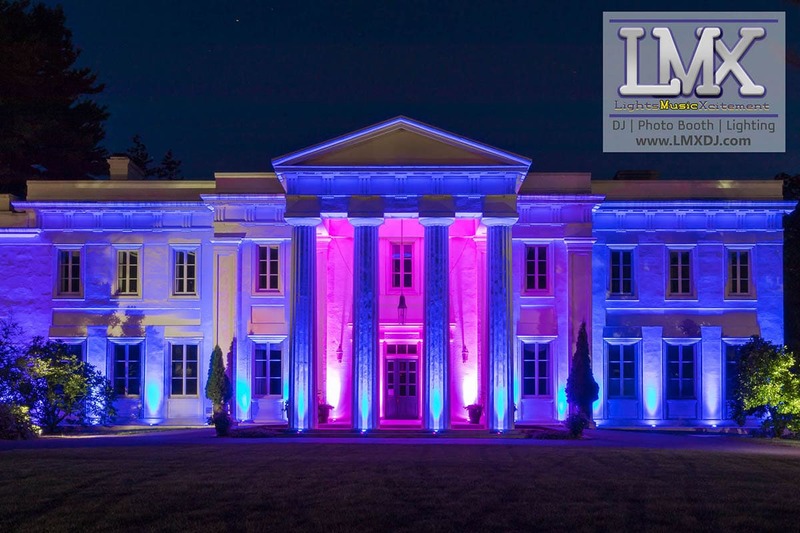 The Wadsworth Mansion is a 16,000 square foot classical revival house that hosts weddings and other special events. 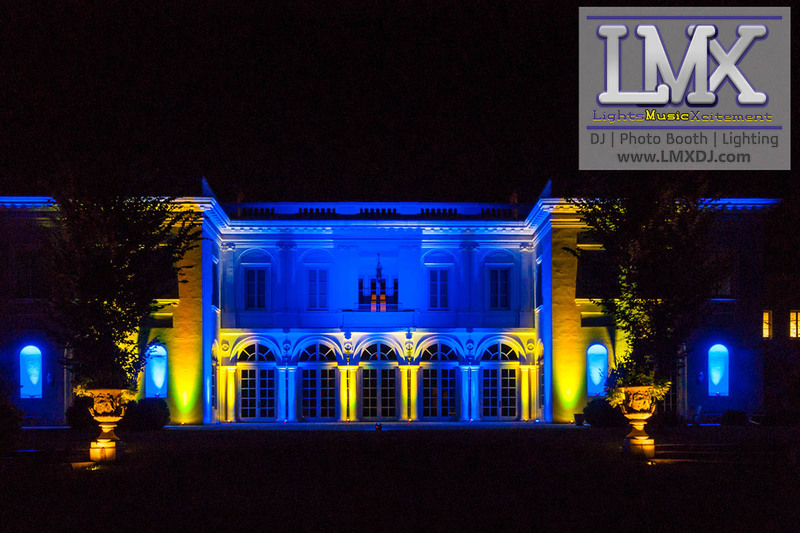 The grounds of the mansion are one of the many features that sets this wedding venue apart from the rest. 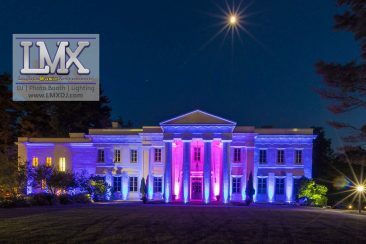 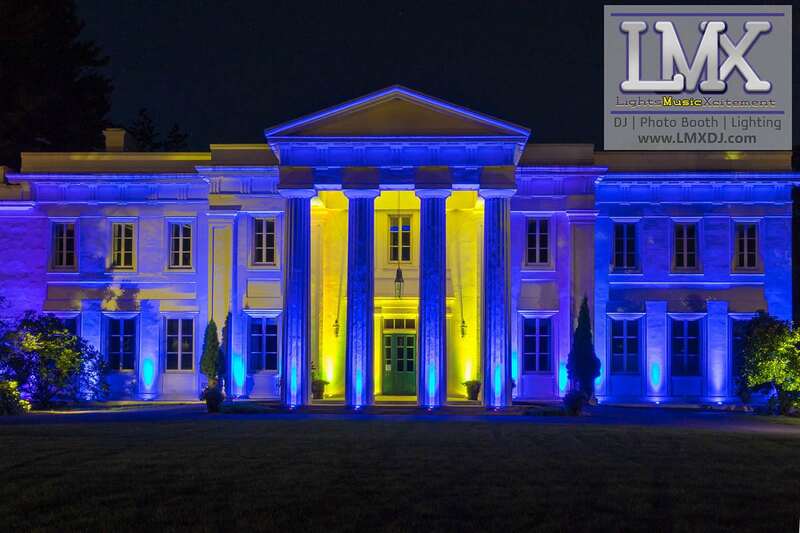 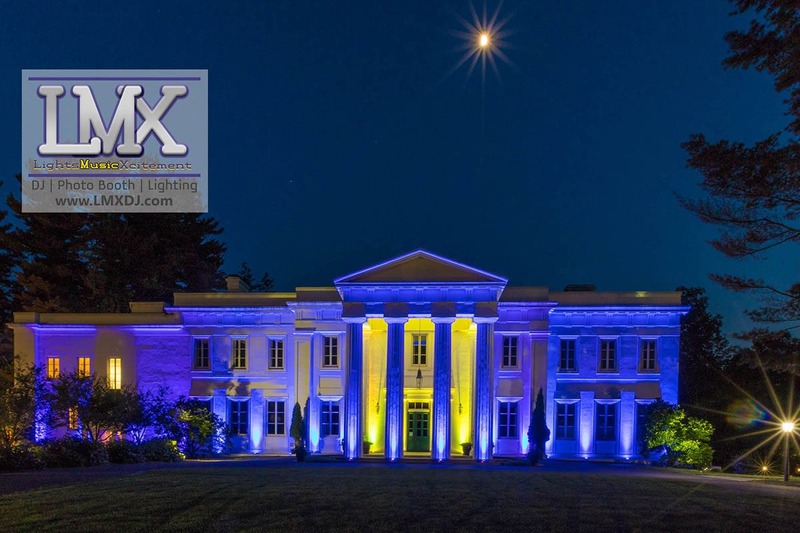 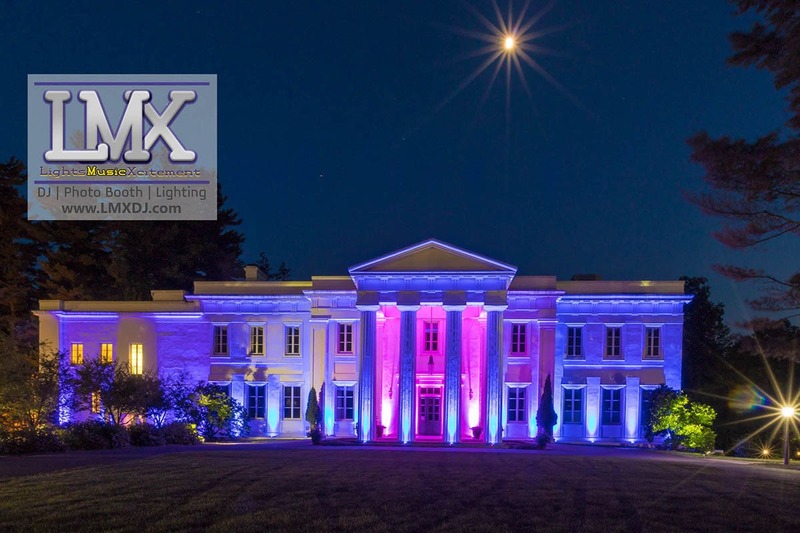 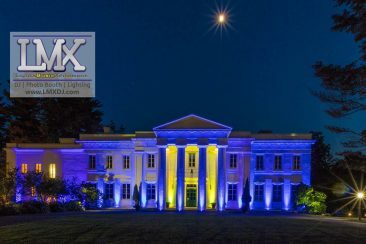 Talk about a way to impress your wedding guests when they drive up to this historic mansion located in Middletown, CT. 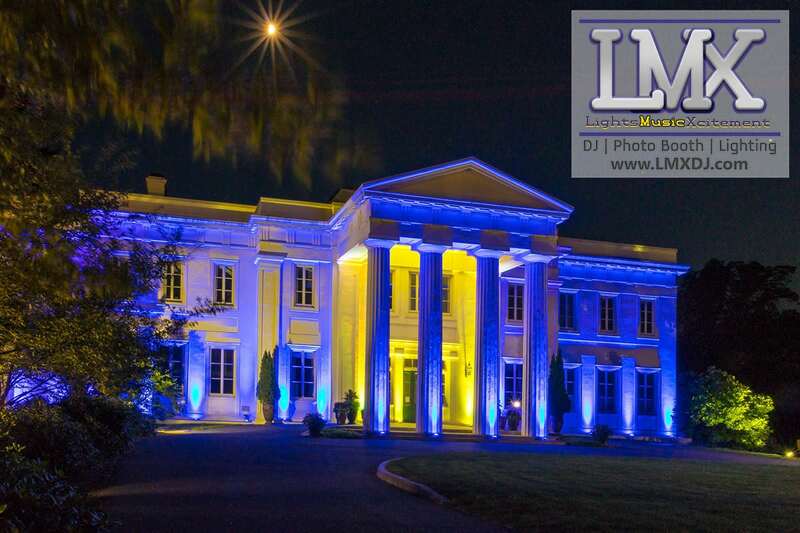 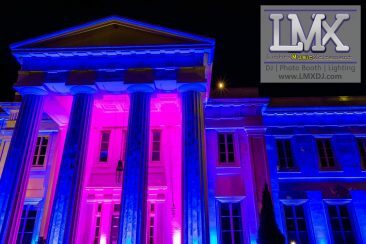 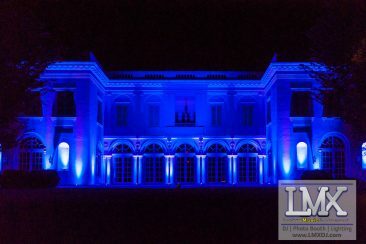 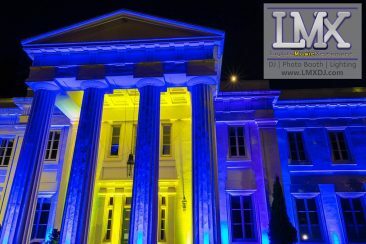 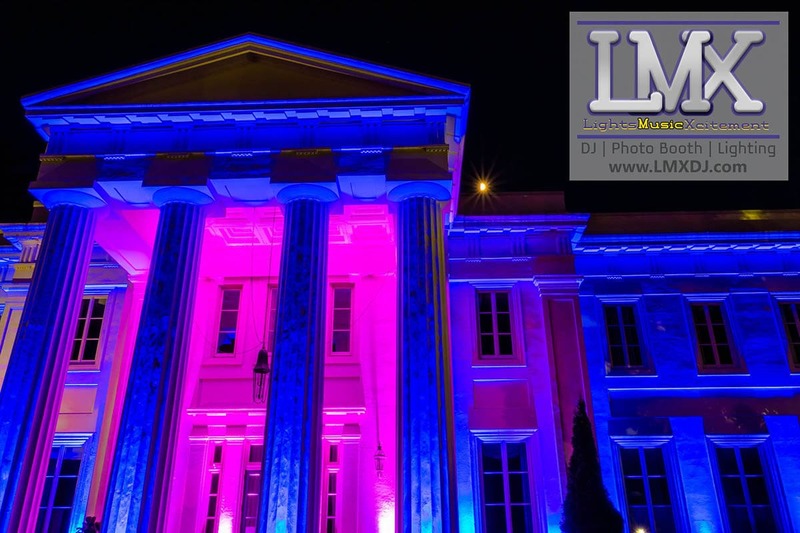 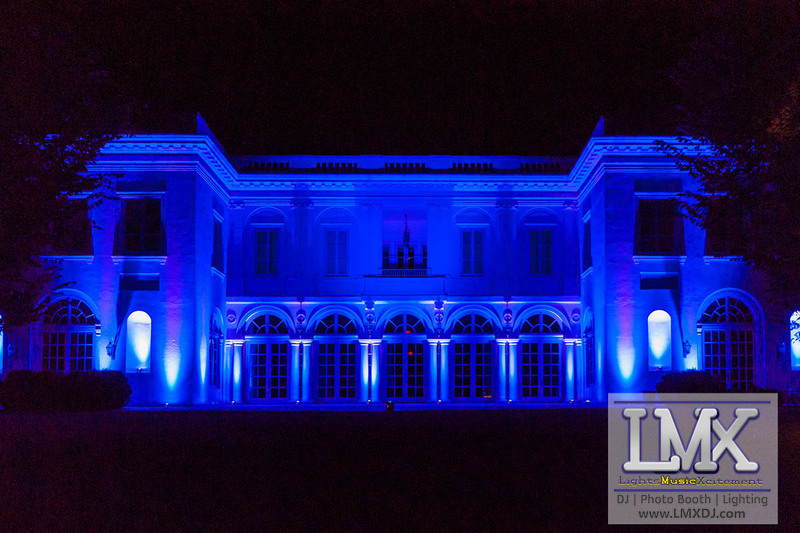 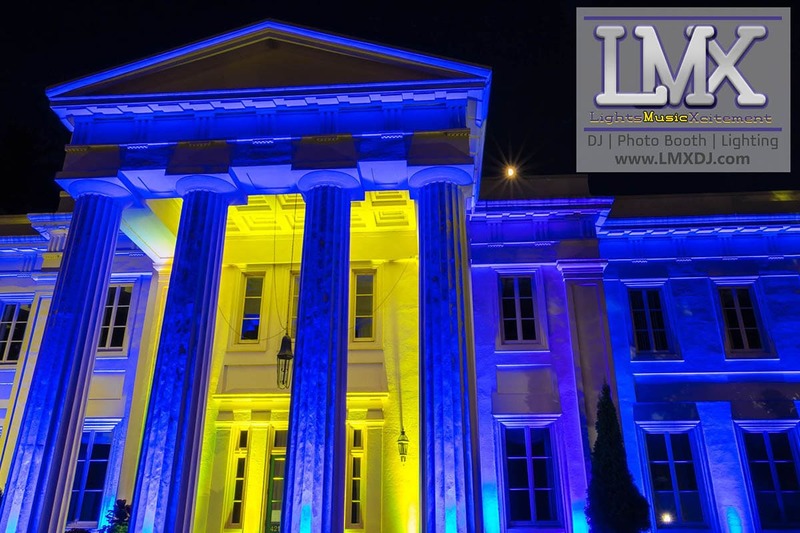 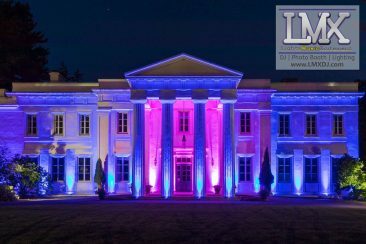 The premium wedding uplighting for these images was designed and executed by DJ Frank Zappulla of LMX Entertainment using 18 extremely high-powered lighting fixtures to create the effect you see.